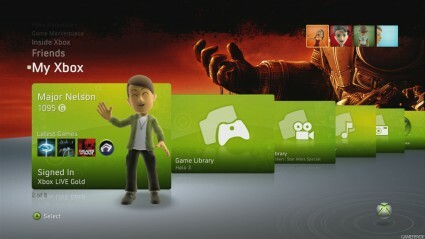 Should An Xbox Live Subscription Mean No Adverts? Xbox Live has recently celebrated its 10th birthday, and there is no doubt that the service has come a long way since it was unleashed on the gaming masses in more primitive times. The ground-breaking service offered console owners an opportunity to live the worldwide multiplayer dream, but at the cost of the infamous annual subscription that seemed like a fair trade-off at the time. The annual Microsoft Xbox Live subscription has remained with a £40 price tag for some time now. In 2012, however, this fee is rapidly feeling incredibly outdated and a tad expensive, like a TV license. Though it’s not the price that I have a problem with, but what you get for your money that troubles this frugal gamer. For example, take a quick look over at the PlayStation Plus deal. For around the same price, you will find that subscribers are rewarded with free games, 1-hour free access to full games and 50% discounts. If I moved to America, then my Xbox Live Gold subscription would entitle me to view ESPN and Netflix, but over here in the UK, everything offered to you requires further subscription payments to third parties. So let me get this straight, I pay £40 a year for the opportunity to buy more stuff and be bombarded with adverts at every opportunity? The Xbox Live Metro dashboard has turned into one massive advertising billboard, where you are bombarded with constant streams of advertising. Anything that may be of use has now been buried and replaced by boxes containing more adverts. Although you can pin your favourite apps, the option to pin the System Media Player is suspiciously absent and ironically the most used app of all for many gamers. So why am I now paying so much money to have so much advertising rammed down my throat? The world has rapidly moved on and changed since 2002, and customers are a much more sophisticated/savvy bunch where they are used to paying a fee to avoid advertising. To charge people a fee for a premium service only to then offer nothing but advertisement is considered bad form for even the most laid-back gamer. Possibly one of the biggest reasons we all have such fond memories of the Blade system is down to the fact it was a time of minimal advertising. Gamers switched on their Xbox and were offered episodes of Sent U a Message or Inside Xbox, which gave the service a community vibe that now appears to have been killed for good. What followed as we all know was a poorly designed dashboard , which caused the Inside Xbox videos to be buried behind a user-unfriendly menu system which were soon to be cancelled and replaced by, you guessed it, more of those pesky advert boxes. Although it is true that the humble Xbox 360 is no longer just a games console as it also has the new role of media entertainment hub to live up to, sometimes you are left thinking it doesn’t know what it wants to be, which just leaves one big mess on the dashboard. Looking for new XBLA or indie games has become one big chore. Imagine for a moment that you have just created your very own indie game and it is has just been published on Xbox Live. Could you honestly direct them to the download of you proud creation in a few words? More than likely the conversation would go something like: ‘Go to Home… Social… Games… Browse Games… Go past Featured… Arcade… On Demand and finally Indie’. Should it be this hard to find a game you are being told about, never mind one you don’t know even exists? Sure there is Bing voice search, but there is always the risk of looking like a mad man repeating yourself loudly at your Xbox as it struggles to understand your regional accent, making you feel like Alan Partridge using voice recognition. Dare I say this, but maybe Microsoft should take a few pointers from Apple. They’ve built their success by not having the best hardware, but by having the easiest, most user-friendly interface that anyone can use and find what they are looking for. Whatever your thoughts on the subject, we all use our console differently. So maybe we should be able to fully customise our dashboard to make the Xbox experience better suited to our individual needs, to create a unique experience. This is now what customers across the board expect from any service, and Microsoft have missed a quick win here. Competition is always the consumer’s biggest friend as it allows punters to be more demanding and get the best deal or service possible. With this in mind, Microsoft seriously need to rethink their strategy. If they think that they can continue charging their users £40 for very little in return except aggressive advertising, they will be heading for very tough times, and this is something none of us want to see.